27" of fantastic Mono hull action! A complete ready-to-run mono with a pull-start, water-cooled .18 motor, and two channel radio. 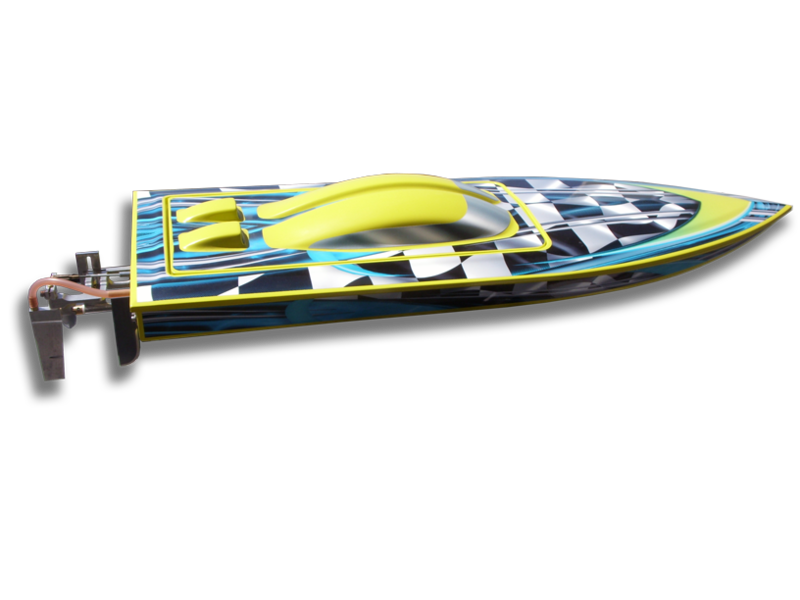 Designed for recreational fun, this hull is setup for all-out action. All hulls are gelcoated, epoxy layup in your choice of White, Red, or Yellow. Contrasting color decals are factory applied. Radio frequencies are supplied on a random basis. A choice of frequencies is available if requested. Radios supplied are two-channel, AM band in either Airtronics or Hitec brands. NOW ALSO AVAILABLE IN ELECTRIC RTR! !